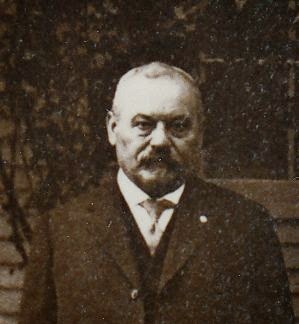 John George Herrel, my great-great-grandfather, was the last of my direct ancestors to immigrate to America. In a previous post, The Joy of Holding History in Your Hands, I wrote about viewing his original declaration of intention to become a U.S. citizen. The declaration indicates he left the port of Le Havre, France, on 7 August 1880, and arrived in New York City on 29 August. He was a 21-year-old native of Germany. It was filed with the Hamilton County, Ohio, Probate Court on 25 March 1881, less than a year after his arrival. Until last week, however, I had not been able to find John’s certificate of naturalization, which would show he completed the citizenship process. 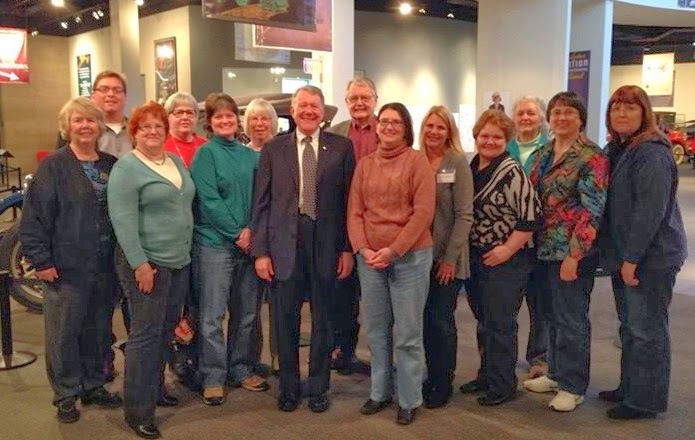 Thanks to a cooperative effort between Hamilton County government offices and FamilySearch.org, thousands of early Cincinnati records have recently been digitized and made freely available online. It took a bit of perseverance, but I’m happy to report that I found John’s naturalization record. 1. From the FamilySearch homepage, choose Search. Scroll down to the bottom of the page where you see a map of the world. Under “Browse All Published Collections,” click on United States. 2. In the box “Filter by Collection Name,” enter Ohio. In the list that appears, scroll and select “Ohio, Hamilton County Records, 1791-1994.” You’ll note it says Browse Images—a sign that the collection is not indexed. You’ll see the collection includes Land and Property Records, Probate Records, Naturalization Records, and Vital Records. Choose Naturalization. 5. The volume opens on Image 1. The first several pages of the volume contain an alphabetical index. Scroll through these using the arrow next to the image number box until you find the H page (for Herrel). In time, I learned the H index usually appeared about Image 9, so as a shortcut, I could enter 9 in the box and click Go. You’ll see there are no Herrels indexed in this volume. 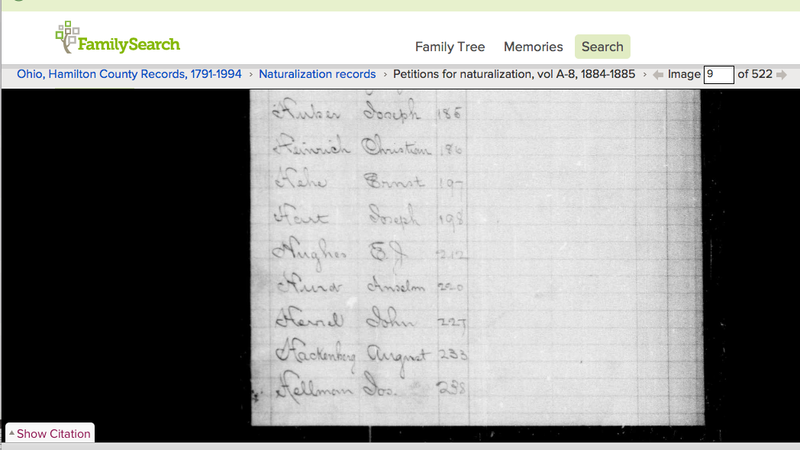 To go back to the list, click on “Naturalization Records” in blue. 6. I repeated this process for Petitions for Naturalization volumes 6, 7, and 8. I didn’t find a single Herrel indexed in any of those volumes, which initially discouraged me. But wait, there’s more! Keep scrolling down and you’ll find “Petitions for Naturalization, vol. A-1, 1884-1894.” This appears to be another ledger kept by a different courtroom or judge. Alas, there are no Herrels in this volume, either. I went back to the list and tried vol. A-6 and vol. A-7 (there’s no mention of vols. A-2 through A-5), again without results. 7. Finally, I hit paydirt with “Petitions for Naturalization, vol. A-8, 1884-1885.” There he was: Herrel, John, page 227. Now I needed to find what image number corresponds to page 227. Entering 227 in the image box number took me to ledger page 101, so I needed to go much higher. By trial and error, I found page 227 at image 479. Success at last! I checked the next page, too, but John’s record is only a single page. See what I mean by perseverance? Browsing through unindexed collections may take more time and effort, but it’s not hard to do, and the results are worth it. In fact, it took me a lot longer to write this blog post than it did to search the indexes of all eight volumes one by one. Now I know John Herrel stood before a judge in Hamilton County, Ohio, to take his oath and become a citizen of the United States on 28 September 1885. What a proud moment that had to be for him and his family. Of course, I’d be happier today if the record stated the name of the town in Germany he came from, but I have to remember that wasn’t why the record was created. The court only needed to know he had fulfilled the requirements for citizenship and renounced his allegiance to the Emperor of Germany. 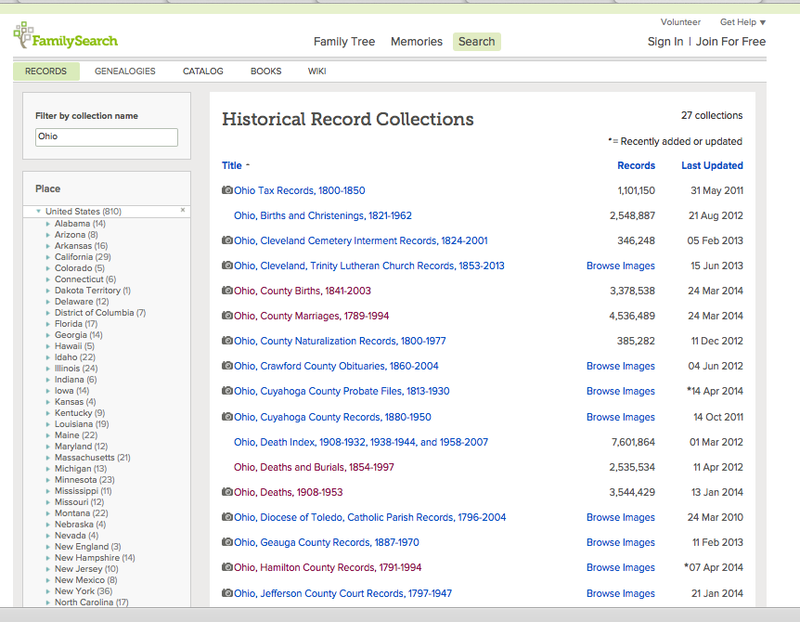 The bottom line is that browse-only collections like these on FamilySearch hold many untold treasures. Don’t be afraid to give them a try! 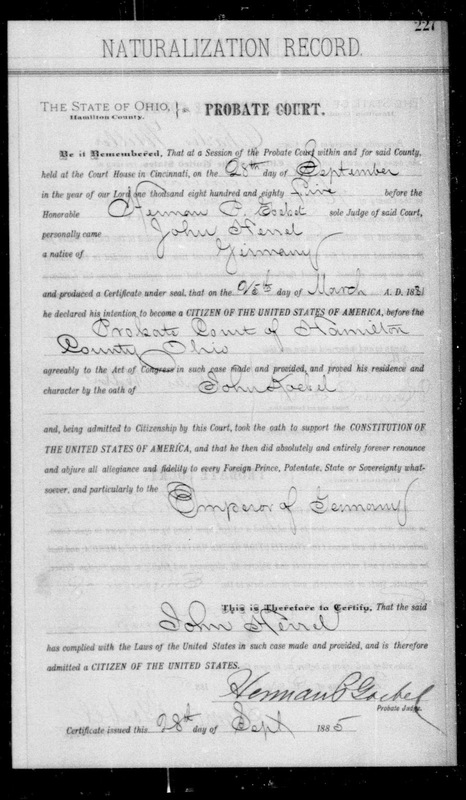 Citation for this record: “Ohio, Hamilton County Records, 1791-1994,” digital images, FamilySearch (www.familysearch.org : accessed 8 April 2014), Petitions for Naturalization, vol. A-8, 1884-1885, no. 227 (image 479), John Herrel, issued 28 September 1885; Hamilton County Probate Court, Cincinnati. 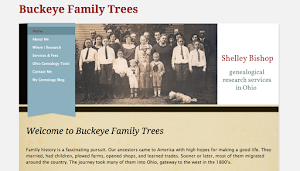 “52 Ancestors in 52 Weeks” is coordinated by Amy Johnson Crow, CG, author of No Story Too Small. What a proud moment for your ancestor to become a citizen, and also what a thrill for you to have found his naturalization! Yes on both counts, Yvonne, although my achievement seems small compared to his! Thanks for reading. So glad you were able to find him, Shelley! I totally agree: the unindexed files at FamilySearch hold many gems. It's just the tedium of finding your gem! If there is an art and a science to the hunt-and-peck method, you've helped by documenting your path. And what fortitude to hold out until you found him in volume 8! There is some tedium involved, no doubt about it. I hope I've shown it's not as difficult as it might seem, though, and that the potential payoff is well worth it! I can relate to the excitement of finding a document in an unindexed FamilySearch records. You never know whether you'll find what you're looking for or how far and how long you'll have to look but when you find that document, it's always worth the time and trouble. Maybe one day FS will have us indexing the court records. I remember thinking the same thing - what a proud moment - for the day one of my ancestors became a naturalized citizen. He had a wife and a small child and I can just imagine them standing together looking at his naturalization certificate. I can also identify with the disappointment of not having a city of origin named. I think if our ancestors had come over 25 years or so later, the process for becoming a naturalized citizen require more details.